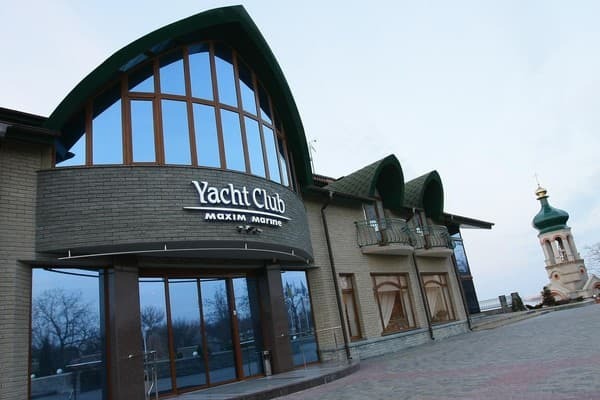 Maxim Marine Hotel was opened in 2007 and is part of the Maxim Marine yacht club complex and is located in the main building. The complex is located on the banks of the Dnieper River at a distance of 3 km from the center of Nova Kakhovka. There are 20 spacious, bright, cozy rooms of the Lux class and Junior Suite in the hotel. Different colors and subjects of interiors allow choosing the most suitable number. 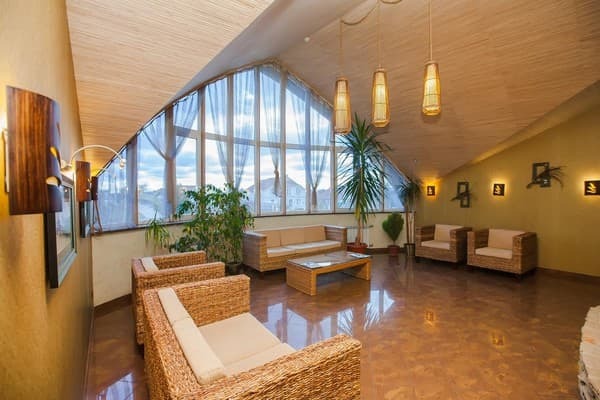 From the balconies there is a beautiful panoramic view of the Dnieper. On the territory of the complex is a unique natural spring. 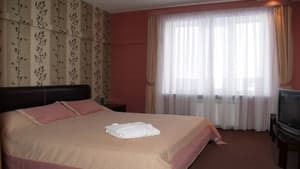 Description of the room: The room has everything you need: two single beds; climate control system; mini bar; wireless Internet; safe; satellite television; phone; in the bathroom: shower, hairdryer, bathrobe, slippers, a set of mini perfumes, towels, telephone. 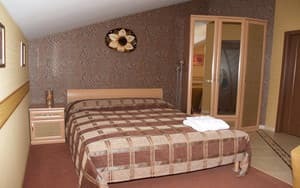 Description of the room: The room has a total area of ​​45.1 sq m. In one of the rooms there are two single beds, in the other there is a folding sofa with an orthopedic mattress; climate control system; mini bar; wireless Internet; safe; satellite television; phone; in the bathroom: shower, hairdryer, bathrobe, slippers, a set of mini perfumes, towels, telephone. It is possible to provide extra space for an additional fee. Description of the room: The room has a total area of ​​78.6 sq m. The room has: a spacious studio room with an entrance hall and two seating areas: one has a double bed, the other has a sofa; orthopedic mattresses; desk; climate control system; mini bar; wireless Internet; safe; satellite television; phone; in the bathroom: shower, hairdryer, bathrobe, slippers, a set of mini perfumes, towels, telephone. It is possible to provide extra space for an additional fee. Description of the room: The room has a total area of ​​20.3 sq m. The room has: a double bed with an orthopedic mattress; climate control system; mini bar; wireless Internet; safe; satellite television; phone; balcony overlooking the picturesque patio; in the bathroom: shower, hairdryer, bathrobe, slippers, a set of mini perfumes, towels, telephone. Description of the room: The room has a total area of ​​22.6 sq. 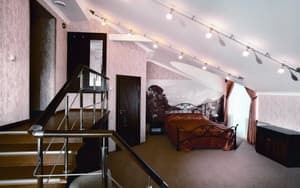 M. The room has: a double bed with an orthopedic mattress; climate control system; mini bar; wireless Internet; safe; satellite television; phone; balcony overlooking the picturesque patio; in the bathroom: shower, hairdryer, bathrobe, slippers, a set of mini perfumes, towels, telephone. Description of the room: The room has a total area of ​​31 sq. M. The room has: a double bed with an orthopedic mattress; climate control system; mini bar; wireless Internet; safe; satellite television; phone; balcony overlooking the picturesque patio; in the bathroom: shower, hairdryer, bathrobe, slippers, a set of mini perfumes, towels, telephone. Description of the room: The room has a total area of ​​29.2 sq. 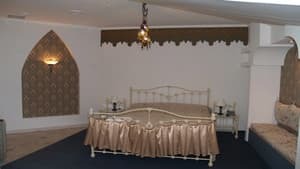 M. The room has: a double bed with an orthopedic mattress; climate control system; mini bar; wireless Internet; safe; satellite television; phone; balcony overlooking the picturesque patio; in the bathroom: shower, hairdryer, bathrobe, slippers, a set of mini perfumes, towels, telephone. 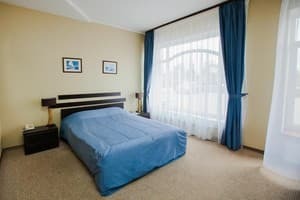 Description of the room: The room has a total area of ​​34.8 sq m. The room has everything you need: a double bed with an orthopedic mattress; climate control system; mini bar; wireless Internet; safe; satellite television; phone; balcony overlooking the Dnieper; in the bathroom: shower, hairdryer, bathrobe, slippers, a set of mini perfumes, towels, telephone. Description of the room: Room with a total area of ​​16.3 sq. M. The room has: a double bed with an orthopedic mattress; climate control system; mini bar; wireless Internet; safe; satellite television; phone; balcony overlooking the picturesque patio; in the bathroom: shower, hairdryer, bathrobe, slippers, a set of mini perfumes, towels, telephone. 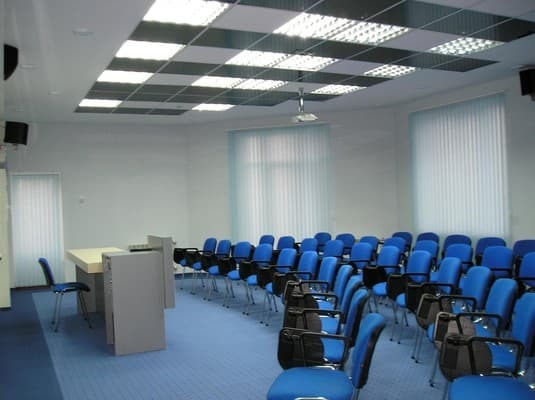 Description of the room: The room has a total area of ​​27.8 sq. 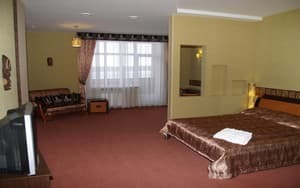 M. The room has: a dressing room; two single beds; climate control system; mini bar; wireless Internet; safe; satellite television; phone; balcony overlooking the Dnieper; in the bathroom: shower, hairdryer, bathrobe, slippers, a set of mini perfumes, towels, telephone. 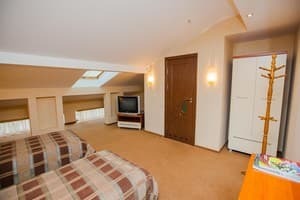 Description of the room: The room has a total area of ​​28 sq m; the room has: a double bed with an orthopedic mattress; climate control system; mini bar; wireless Internet; safe; satellite television; phone; balcony overlooking the Dnieper; in the bathroom: a large bathroom, hairdryer, bathrobe, slippers, a set of mini perfumes, towels, telephone. 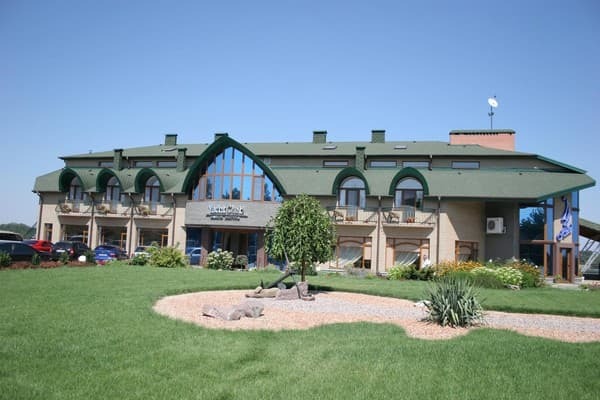 PRICE OF THE ROOM FOR 2-LOCATED ACCOMMODATION - 1150 UAH. Description of the room: The room has everything you need. The total area is 43 sq. 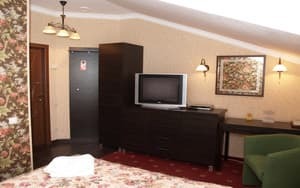 M. The room has: a double bed with an orthopedic mattress; climate control system; mini bar; wireless Internet; safe; satellite television; phone; balcony with a view of the Dnieper. 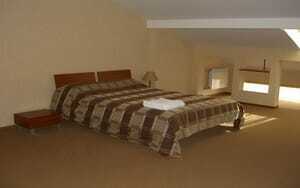 Description of the room: Luxurious room, which has everything you need for a comfortable stay. The total area is 56.8 sq. 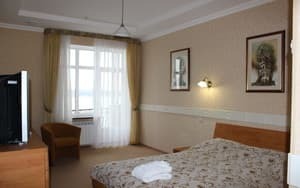 M. The room has: a double bed with an orthopedic mattress; climate control system; mini bar; wireless Internet; safe; satellite television; phone; balcony with a view of the Dnieper. 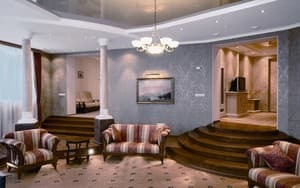 Description of the room: Presidential suite with an area of ​​73 sq. 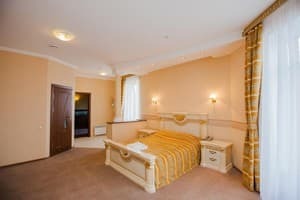 M, a panoramic view of the Dnieper; the bedroom is made in antique style; large entrance hall with an additional bathroom; extra bed; double bed with orthopedic mattress; climate control system; mini bar; wireless Internet; safe; satellite television; phone; in the bathroom: sauna, jacuzzi, hairdryer, bathrobe, slippers, a set of mini perfumes, towels, telephone. Additional place is possible for a fee (approximately 200 UAH). Guests can eat at the Café del River restaurant, which serves European cuisine. 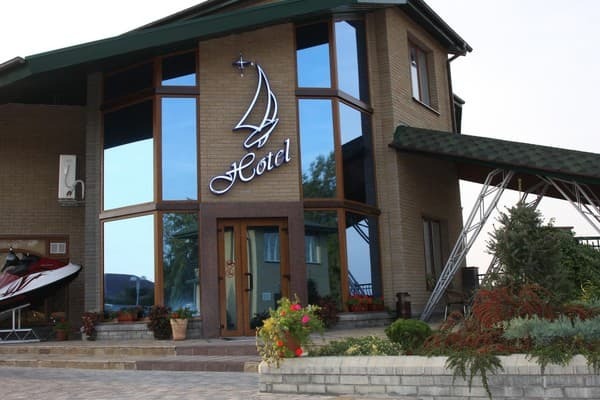 Hotel Maxim Marine is located on the bank of the river. Dnepr at a distance of 3 km from the center of Nova Kakhovka. To go by train to the city of Kherson, the distance to the hotel from the railway station in Kherson is 60 km.